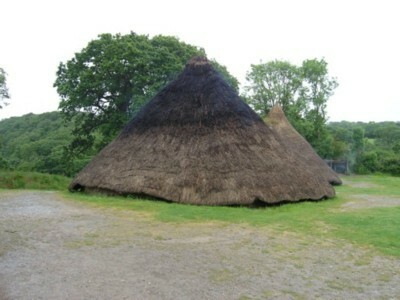 Castell Henllys - office23s jimdo page! 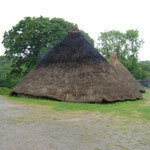 Castell Henllys (Welsh: Castle of The Old Court) is an important archaeological site in north Pembrokeshire, Wales, between Newport and Cardigan. 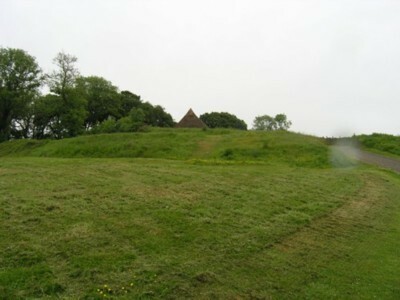 This Iron Age hillfort has been the subject of an ongoing excavation for more than twenty years, accompanied by an exercise in reconstruction archaeology whereby experiments in prehistoric farming have been practised. 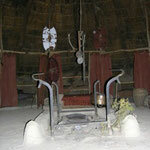 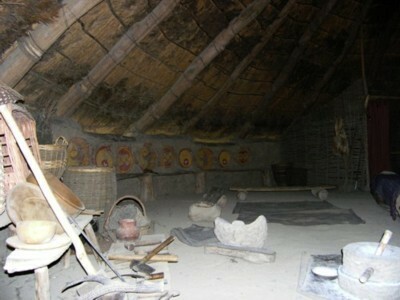 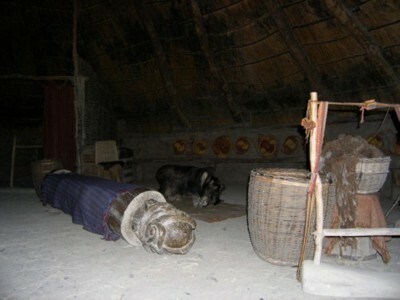 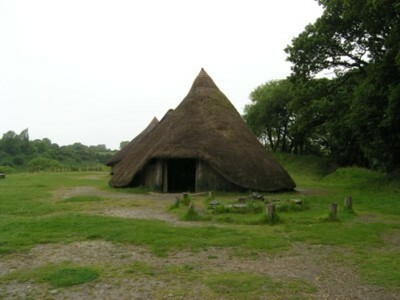 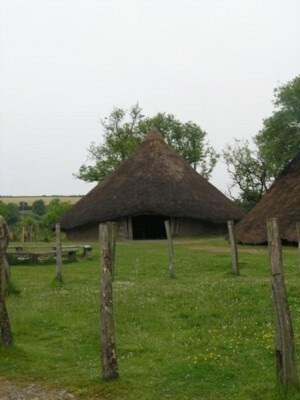 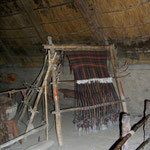 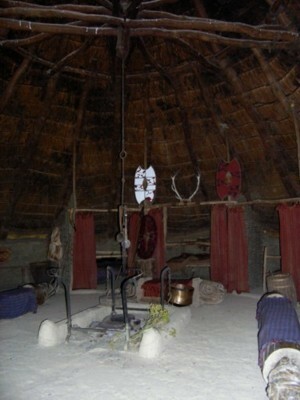 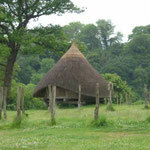 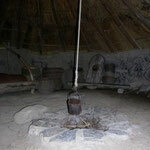 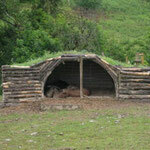 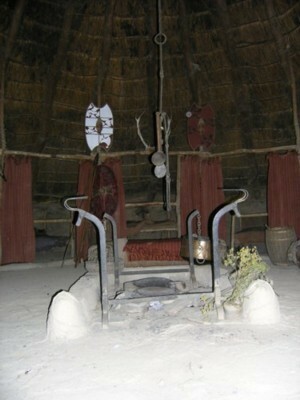 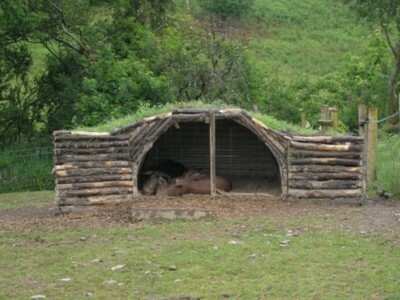 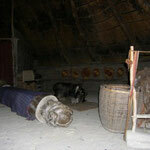 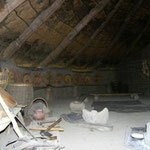 Four roundhouses and a granary have been reconstructed on their original Iron Age foundations. 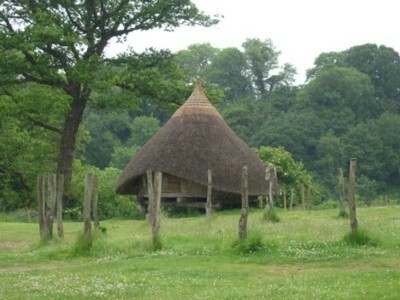 The first to be built, the 'Old Roundhouse' was reconstructed more than twenty years ago and is the longest standing reconstructed Iron Age roundhouse in Britain. 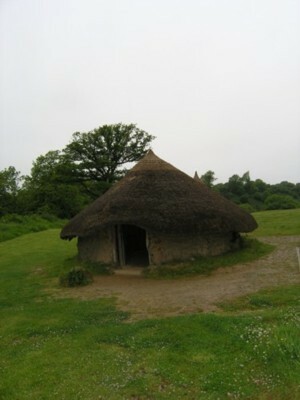 The latest project, the 'Chieftain's House' has just been completed with funding from the European Regional Development Fund and the Strategic Development Scheme. 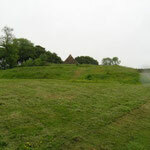 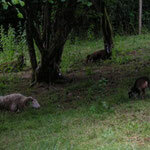 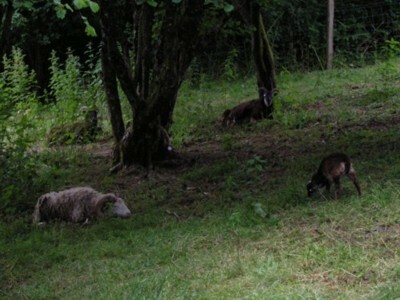 During the summer the site acts as a training excavation for young archaeologists. 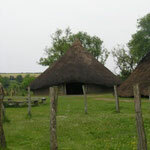 We virtually had the place to ourselves, the rain was steady and the gun metal sky offered no relief, the occasional re-enactor smiled and said hello before hunching down deeper into their blankets as protection against the cold and damp. 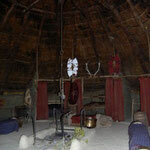 The Roundhouses are very evocative, somehow bigger, more spacious on the inside than they appear on the outside - blue smoke billowing through the roof of the Earthwatch Roundhouse from the central fire within. 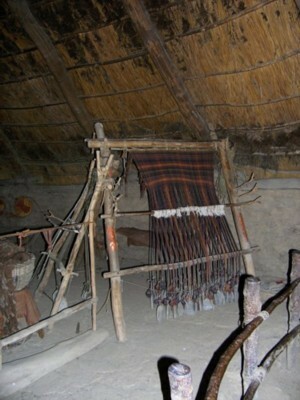 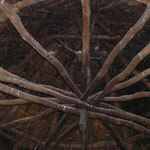 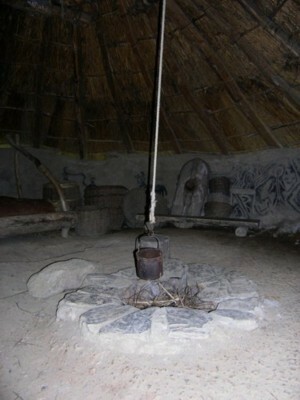 Each of the stout poles that support the roof sits within an archeologicaly excavated post hole, a wattle and daub of willow and hazel sticks covered with a mix of clay, dung and straw. 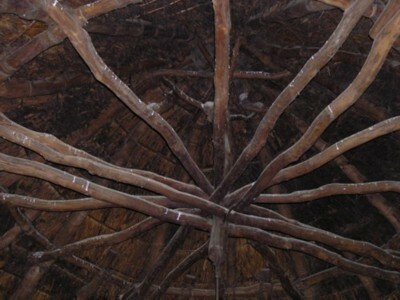 The walls keep out the cold and rain and whilst whitewashed with lime to brighten the interior it still takes a moment for your eyes to adjust to the gloom. 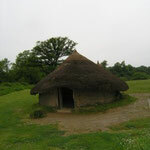 A thatch of reeds form a heavy protective roof, swallows nesting amongst the wooden rafters of the Chieftans Roundhouse dash in out through the low door causing you to duck as they fly by. 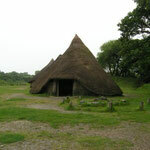 The site is a popular attraction and is owned by the Pembrokeshire Coast National Park.